The last episodes will feature unique food cultures in Kenya, Mexico, Spain and Indonesia. It has been three months since the celebrated chef and storyteller Anthony Bourdain died by suicide, which shook the culinary community and his many fans around the globe. On Sept. 23, Bourdain will appear in the final season of his Emmy Award-winning show "Anthony Bourdain: Parts Unknown," but his narration (a signature feature of the popular series) will only be featured in one episode. On Aug. 1, CNN confirmed to TODAY Food that "there will be a new, seven-episode season of 'Parts Unknown' premiering in fall 2018, which includes one episode with Bourdain's narration — Kenya with W. Kamau Bell [who hosts the network's "United Shades of America"] (title TBA)." "The Kenya episode will be produced in the same format as all of the previous episodes of 'Anthony Bourdain Parts Unknown'," a spokesperson for CNN told TODAY Food. That episode was the only one completed before Bourdain's death in June. In addition to narrating the episode, "Bourdain will be seen in the entire episode along with guest W. Kamau Bell," the rep added. "We don't yet have further details about the Kenya episode (specific locations, food, other guests)." Bell posted on Instagram on June 8 after learning of Bourdain's death: "But even before today's tragic news. I felt lucky to have spent so much time with him. I feel so proud to have been able to have worked him." Amy Entelis, the executive vice president of talent and content at CNN who launched "Parts Unknown" in 2013, told the LA Times some additional details about the forthcoming episodes. "Four other [episodes] set in Manhattan's Lower East Side — in addition to the Big Bend area of Texas along the border of Mexico, the Asturias region of Spain and Indonesia — will be completed by the directors who filmed them for Bourdain's Zero Point Zero production company," Entelis said. 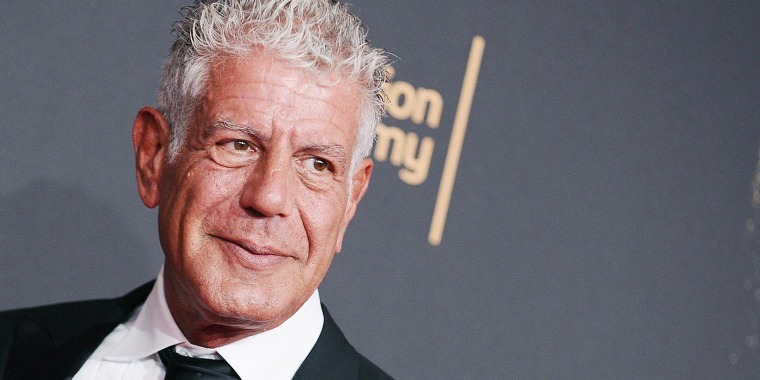 The episodes will include audio of Bourdain that was taped while shooting on location, as well as follow-up interviews with guests. "Each one will feel slightly different depending on what's gathered in the field," Entelis said. "They will have the full presence of Tony because you'll see him, you'll hear him, you'll watch him. That layer of his narration will be missing, but it will be replaced by other voices of people who are in the episodes ... We don't want to start putting things together that weren't meant to be." The penultimate episode will discuss "how Tony affected the world," Entelis said. It will include outtakes, behind-the-scenes footage and interviews with the show's cast and crew. "What Tony did was inimitable," she said. If you or someone you know needs help, please contact the National Suicide Prevention Lifeline at 1-800-273-8255. This article was originally published on Aug. 1, 2018. It was updated on Sept. 7, 2018, with information about the premiere of the final season of the show.